In the last few years, the Python programming language has become a premier choice in modern software development, data analysis, and infrastructure management. Dating back to 1991, Python is a relatively new programming language that is rapidly becoming a go-to technology. From machine learning to system automation, Python helps to simplify many types of work due to its wide range of advantages. Learn more about Python and why it is quickly becoming one of the top programming languages to learn. What is Python and How Does it Compare to Other Programming Languages? The Python programming language is a general purpose language that can be used to build nearly anything digital with the proper libraries and tools. Python is often used for artificial intelligence, backend web development, specific computing, and data analysis. Many developers also seek the help of Python to build games, desktop apps, and various productivity tools. Python is an interpreted language, meaning it is not computer-readable until runtime. It also creates code that is easy for other programmers to read and maintain. Unlike other options such as Perl and PHP programs that take a lot of effort to keep readable, Python makes even large projects easy to handle. The Python programming language is often compared to Ruby, another general purpose programming language developed in the mid-1990s. Both languages are object-oriented with an implementation of classes that make it simple to reuse and maintain code. However, there are several big differences between Python and Ruby including flexibility and readability. Ruby code can be difficult to read while Python presents code that is often plain in the syntax. This allows programmers to make appropriate changes to the code while still ensuring that other programmers can read it later if necessary. What are the Primary Benefits of Python? 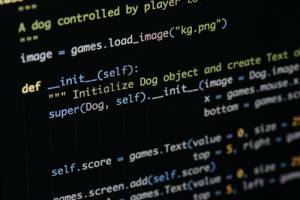 Whether you are looking to build a video game or create a desktop app, the Python programming language can help you do it. There are a number of benefits that come from using Python, including user-friendliness. Python was specifically designed to be easy to understand and use. It can also be fun to use for beginners as you are able to build tools and prototypes quickly resulting in a satisfying experience. As a beginner, you can also find many tutorials that guide you in the right direction. For this reason, Python is quickly replacing Java as one of the top programming languages for beginners. Another reason Python has become so popular compared to other programming languages is due to its readability. The Python programming language is one of the few programming languages that primarily use English. With words such as ‘not’, it is easier to read the code to yourself or someone else and have them understand it. Python also requires specific punctuation, primarily reducing the need for distracting code like curly braces. PEP 8, Python’s set of rules, also guides programmers in the right direction when formatting their code. This allows even beginner programmers to write and format a program with little trouble. Another major perk of using Python in place of other programming languages is its vast flexibility. There are no strict rules that require you to build features in a certain way and the program is more forgiving if you make errors. If you make an error in your code, the program will still run until it hits the problematic code. This can be useful if you are not sure where the mistake is, allowing for easy debugging. Python encourages you to try various methods when trying to solve problems which can help you master your skills and practice the language on your own terms. What Makes Python Different from Other Programming Languages? 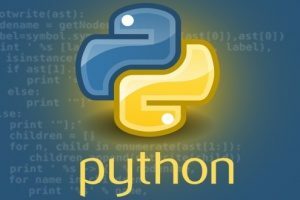 The vast amount of resources that can be used in combination with the Python programming language is astonishing compared to those that can be used in other languages. As Python has been around for more than 20 years, there has been a great deal of code written in the program that has resulted in extensive libraries. Moreover, Python is an open source programming language, meaning many of these libraries have been released to the public for free and personal use. The user-friendly software can be installed on your own computer for use with your project. Once installed, simply click on the library and import your scripts. You can find libraries for all sorts of projects ranging from server automation to image manipulation. Along with several compatible resources, the Python programming language also has a dedicated community. Unless you are involved in the programming world, you do not realize how important it is to have this support. Receiving and giving help can result in the creation of useful tools that are beneficial to all. You can also find meetup communities where you can discover invaluable mentorships and learn from fellow developers. Many community websites also offer a great deal of content, including pages of questions and answers to help you learn more about Python and develop your coding skills. Productivity and speed are two key factors that differentiate Python from other programming languages. Due to its clean object-oriented design, Python has strong integration and text processing abilities which contribute to its impressive speed and overall performance. The uncluttered, easy-to-learn syntax makes understanding the language easier for beginners. Python also has a built-in list of functions as well as dictionary data structures for a better user experience. The innovative programming language allows for a more productive coding environment than other programming languages such as Java and C#. This allows coders to remain more organized and productive as they work on their personal projects. From it’s simplified syntax to it’s efficient usability and speed, to it’s dedicated community, it’s easy to see why the Python programming language is among the most accessible programming languages available. We hope this article has helped you see the incredible opportunities that exist by utilizing Python for your personal or business needs. 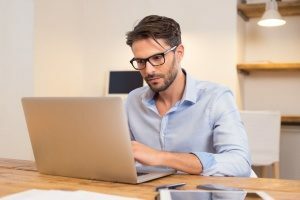 To take advantage of Python’s unique capabilities for your business development or marketing efforts, contact a marketing and web development company today!